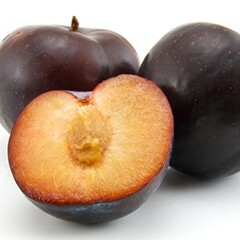 Nearly all of the commercially grown plums in the U.S. are hybrids of the Japanese plum introduced in the 1870s and hybridized by Luther Burbank in the late 1800s. New York produces 584 acres of plums while eastern NY is responsible for 152 acres of the total. California dominates production due to mild winters and minimal rainfall. Consumption of fresh plums in the United States hovers at just under one pound per person, although, like many other fruit, health benefits and great flavor continue to keep consumers interested. Presentations given at the 2016 Commercial Tree Fruit Schools in Lake George (LG) and Kingston in the Hudson Valley (HV) are available by clicking on the following links.